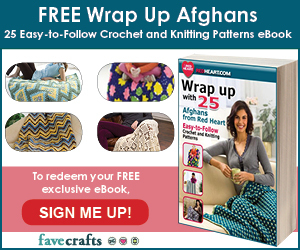 The 2015 Moogly Afghan Crochet-Along: Block #7! Time for lucky #7! 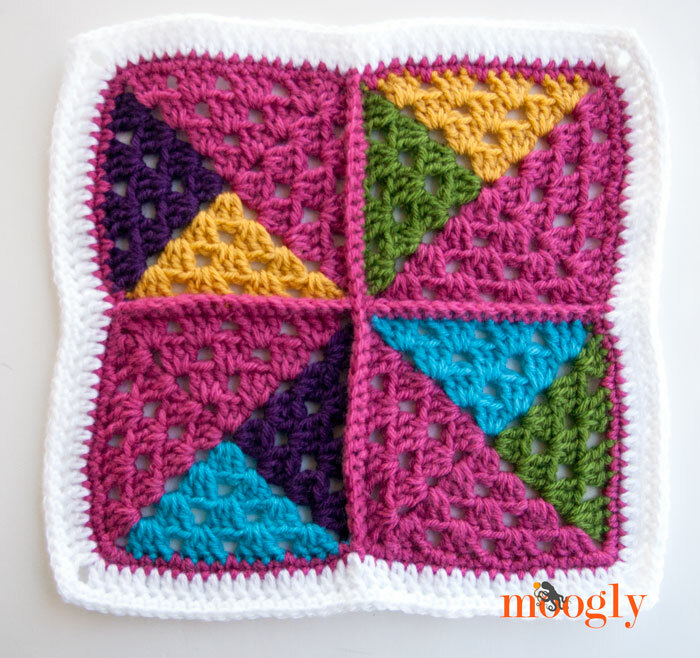 If this is the first you’ve heard of the 2015 Moogly Afghan CAL, please CLICK HERE to read how it works! 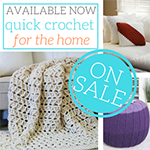 In summary, every 2 weeks I’ll share a new free 12″ crochet block pattern, and we’ll all make them together. 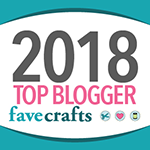 All the patterns will be free all year long, and we’ll get to visit a variety of fantastic crochet blogs along the way! 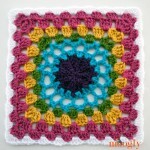 Introducing Block #7: Pinwheel AfghanSquare by ChiWei Ranck of One Dog Woof! 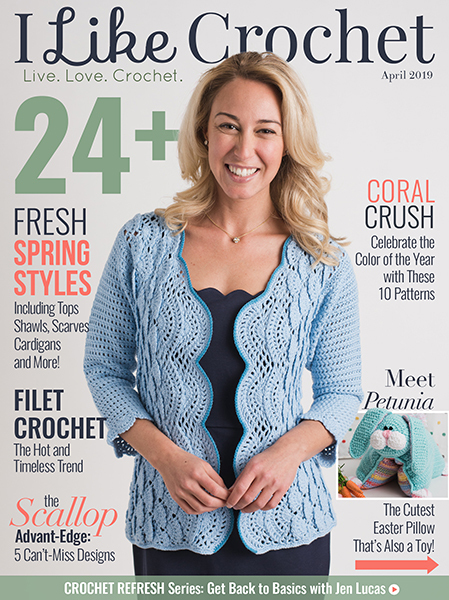 CLICK HERE to go to the pattern page but first, read my notes below! 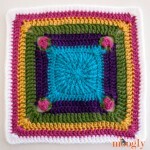 This square is 4 small squares, seamed together and then edged. 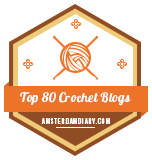 There are lots and lots of ends involved – some suggestions to get around this would be to work every other round backwards, or using Magic Knot Join (click for tutorial) and then crocheting over the ends. Personally I went with the Magic Knot method, which is the first time I’ve used this technique in this way, but if it hold up over time I think I’m in love! 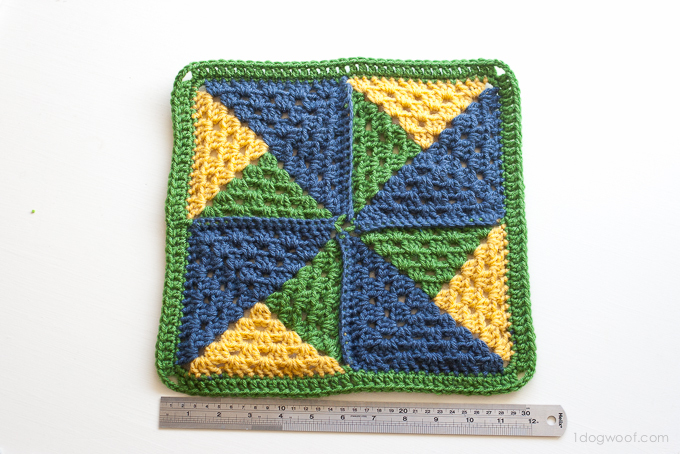 Each small square is supposed to be 5″ after Round 5, but I was at 5″ after Round 4, so I stopped there. Then when I added the edgings, I ended up a half inch short, so I added one more round of sc. But everyone is different so be sure to measure as you go! Learn more about adjusting for size HERE. Remember that the 12″ is measured across and up and down – not diagonally corner to corner. I used Lion Brand Vanna’s Choice, and my color order was as follows: Square 1: CA: Raspberry, CB: Mustard, CC: Kelly Green; Square 2: CA: Raspberry, CB: Kelly Green, CC: Aqua; Square 3: CA: Raspberry, CB: Aqua, CC: Eggplant; Square 4: CA: Raspberry, CB: Eggplant, CC: Mustard; and then the edging was done in Raspberry followed by White. The blocks were seamed with Raspberry sc sts. 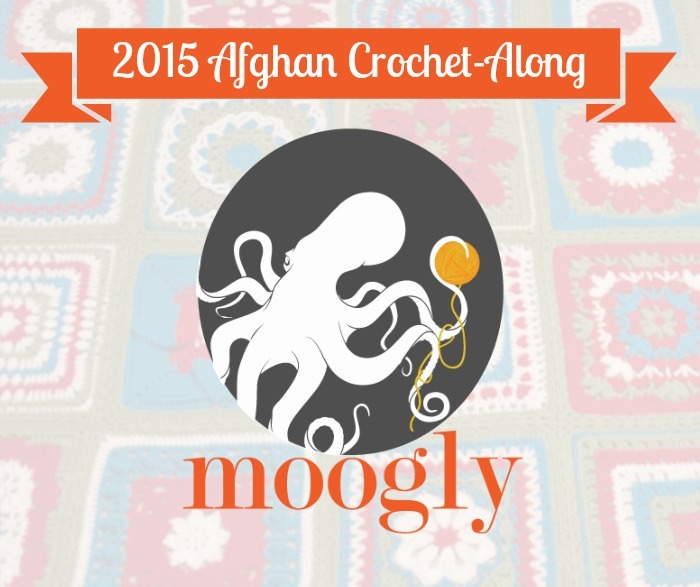 The 2015 Moogly Afghan Crochet-Along: Block #6! This is pretty and will certainly be a challenge. I have some catching up to do, but I think I’ll certainly attempt this one. If it’s too difficult I have a pattern that’s similar. Good to hear Kathleen! I’ve always been suspicious of knots, but these do seem super secure! 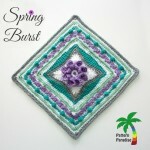 Thanks for the link to the magic knot join tutorial. I learned something new today! Did you have any trouble getting the color change to happen where you needed it to? And you crocheted over the ends instead of cutting them close like in the video? Thanks for the added info. Looking forward to trying this out! Awesome. I was wondering same thing. So glad you asked that question! I was not sure when to start the knot so skipped it on the 1 st pinwheel. I will be doing it for the remaining three, way too many ends to weave in! Thank you Tamera for the great explanation! Hi, Tamara. As always thanks for the great posts! The “magic knot join” was taught to me as a “cinch knot” and yes, it will hold just dandy so long as it’s used with a material that *will hold* a knot – nylon rope, for example, don’t always like to be knotted easily. If you use this same knot for another purpose, say joining two ropes, you can then pull on the free ends (the ends we will cut off for joining yarns like this) to loosen the joining so it can be untied. This type of knot is definitely most stable when the knots are cinched tight together as for this joining because the ties actually help hold each other in place. But when I was a kid, I was taught to use a cinch knot on shoe string for a simple bracelet – cinch the string (pull the ties apart by the free ends) to tighten it on the wrist or ankle, or cinch the knot tight (pull either side of the main string) to loosen it so you can pull it off. Funny how things have different names when used for a different purpose, or sometimes folk names from different areas. Oh how interesting! Thank you Joslin! This is the first knot I feel like I can trust! 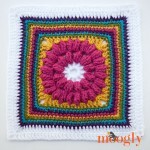 I really like this square and have already finished! But it looks like the ads on the page have been hacked, so anyone looking at the page using their mobile phone or tablet are redirected to the App Store to purchase an app. I had this issue with the page of the very first square we did. I was unable to leave a comment on the page because I kept being redirected. Maybe you can let them know? I’m trying to do the magic knot join and every time I pull the ends, the knot moves away from the stitches… I’ve tried pulling different ends (which just results in 2 ridiculous knots spread way far apart) and I’ve tried switching which yarn I use to make the knots (working yarn versus new yarn) and still the knot moves away… Somebody help me! What am I doing wrong? I really love this square, but I refuse to have a million ends to weave in. Hi Nikki! 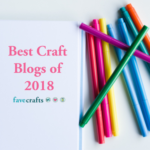 If you’re having trouble getting the knot close to the stitches, it might help to actually work a stitch short and then tie the knot, and then make the stitches, so you use up that yarn in between. Really loving this pattern, it’s great. As for the Magic Knot, I’ve been using this knot for years both in crochet and fishing. It is a well known knot used by fishermen and very very reliable. 😀 Thanks for the reassurance Keith! It’s hard to overcome an anti-knot bias, but I think this might be the one to do it!